During the first weekend of October, my husband and I were in Siskiyou to visit family and to complete outstanding errands. 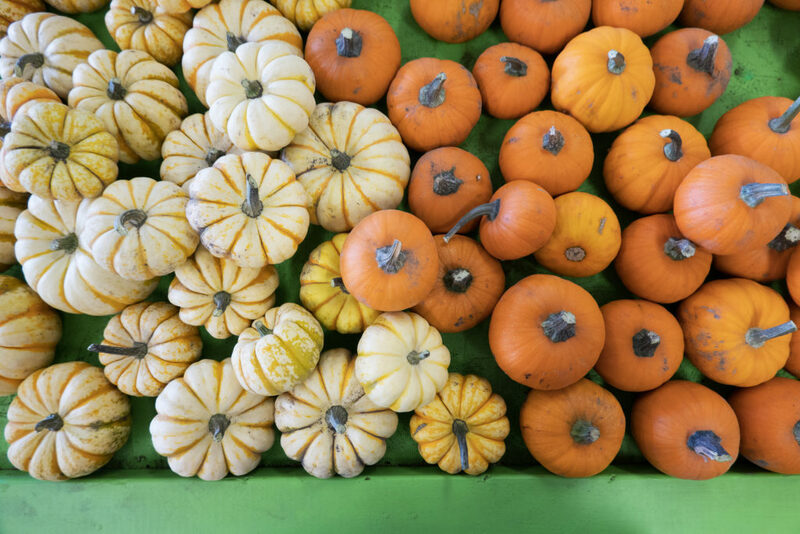 Our to-do list was long, but we wanted to make time for a pumpkin gathering adventure. 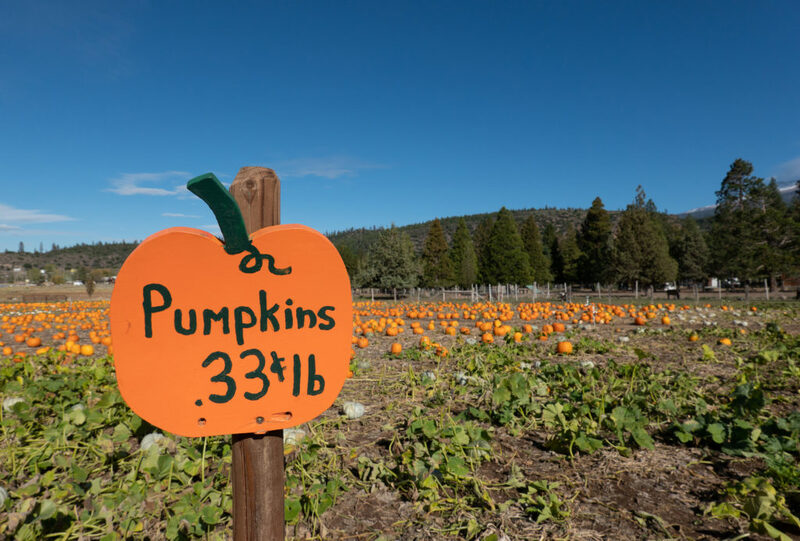 Initially, we were going to visit Papa’s Pumpkin Patch in Weed, CA on Saturday, but it was raining outside. Instead, we decided to drop by the pumpkin patch on Sunday afternoon. I’m glad we waited because the weather worked in our favor. It was a picturesque fall afternoon, and a lenticular cloud hovered over Mt. Shasta like a giant hat. The curious oval-shaped clouds that form around the mountain make Shasta even more photogenic. Over the years, we’ve driven past Papa’s Pumpkin Patch hundreds of times and never stopped to see the pumpkins. I wish we’d visited sooner! 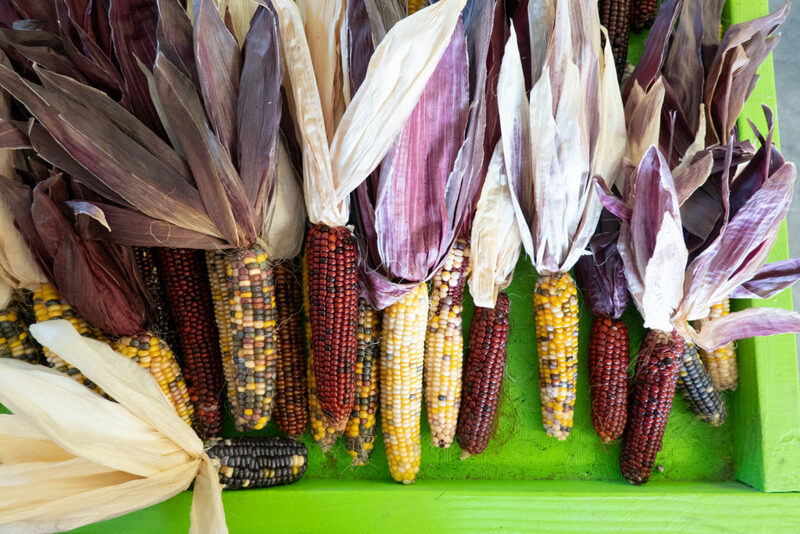 I loved wandering around the field taking photos because each pumpkin had a different color, texture, and shape. Also, Papa’s has a country store with gourds, snacks, decorations, and a bathroom. Dozens of kids and adults explored the pumpkin patch and tried to pet the neighboring ponies. On the grass near the store, there were photo banners with face cutouts and some tables for picnicking. Mt. Shasta towered above us in the background, and I felt like I’d walked into a postcard. 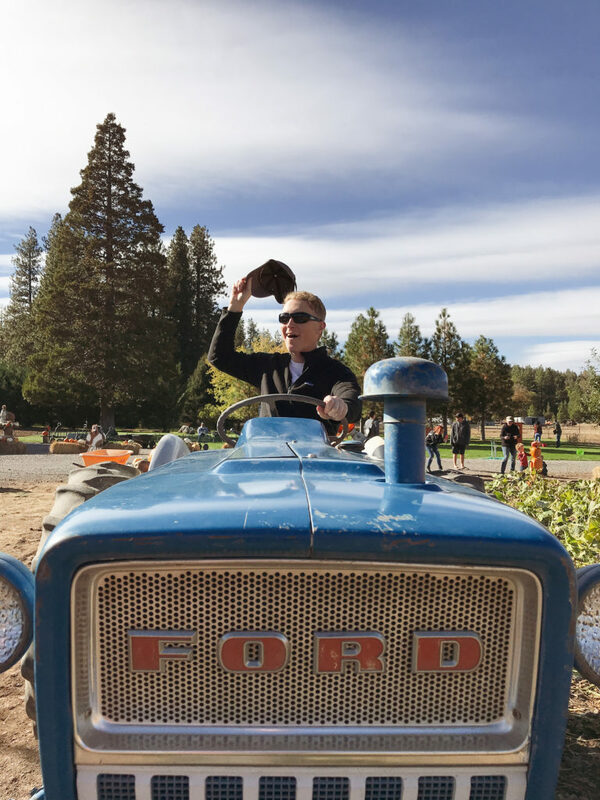 —If you’re traveling north or south through Siskiyou, stop by Papa’s Pumpkin Patch in October. 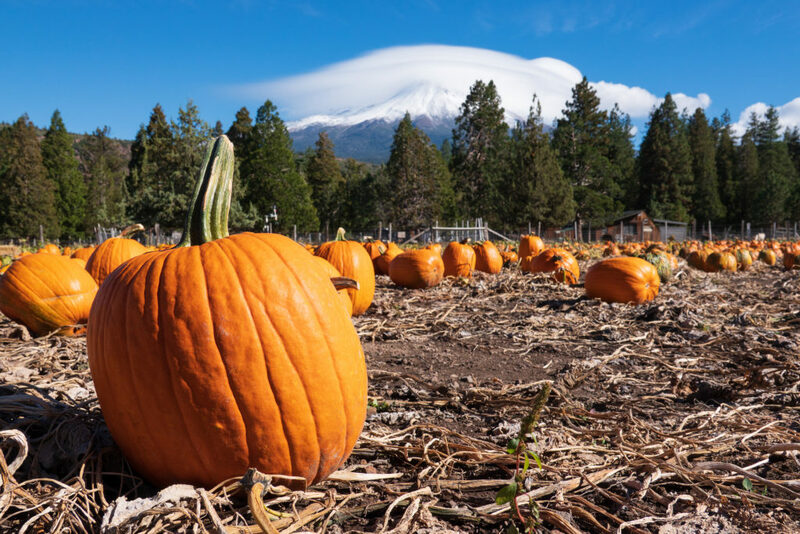 The pumpkin patch is located along Highway 97 a few miles north of Weed, and it’s a relaxing place to take a break from driving. — Allow enough time to take photographs on your drive to Papa’s and when you’re at the pumpkin patch. I could have spent an additional 2 hours taking photos at Papas. —Bring cash to buy pumpkins. 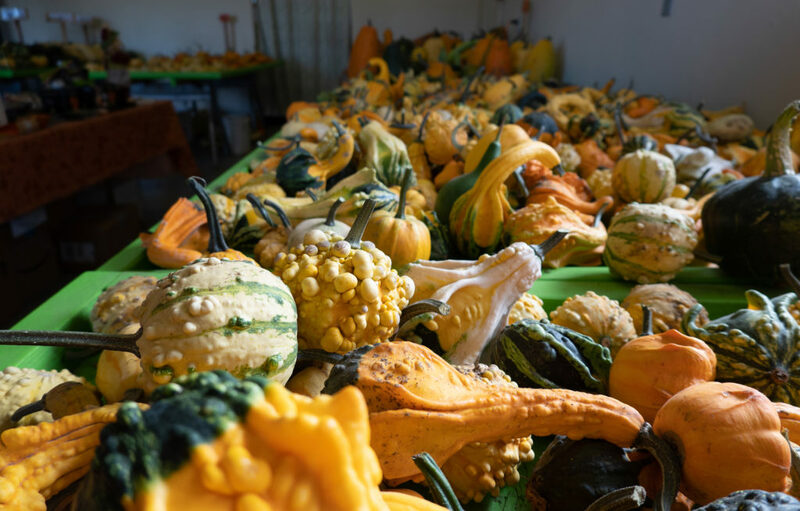 We walked away with six pumpkins, and other fun fall decorative items. —Complement your visit to Papa’s with a meal at the Hi-Lo Cafe or Ellie’s Espresso. I’m a fan of Hi-Lo’s eggs and bacon, and Ellie’s Espresso offers a delicious assortment of pastries, homemade bread, salads, sandwiches, and strong coffee. If you’re in a rush, you can call in your order.